The account emerged in the wake of the 2016 election. Early this morning, conservative blog The Daily Caller identified freelance copywriter and agency veteran Matt Rivitz as the founder and primary force behind Sleeping Giants, a social media group created to help pressure brands to pull their ads from Breitbart and other right-wing media entities. Since just over a week after the 2016 election, Sleeping Giants used its Facebook and Twitter accounts to call out hundreds of brands that placed ads on the site once managed by Steve Bannon, former chief strategist for President Donald Trump. In a March 2017 interview with Adweek, a Sleeping Giants spokesperson stated that more than 1,600 brands had agreed to pull their ads from Breitbart; according to later estimates, the vast majority of the site’s advertisers eventually followed suit, and an alphabetized list of brands currently numbers nearly 3,900. The group also targeted the advertising partners of Fox News host Laura Ingraham after she mocked David Hogg, who has become the de facto spokesperson for victims of February’s mass shooting at Marjory Stoneman Douglas High School in Florida. Working primarily from a subsequent Mother Jones interview with a Sleeping Giants spokesperson, who appears to be Rivitz, as well as the social media accounts of individuals who mentioned Sleeping Giants in its earliest stages, The Daily Caller identified him as the founder of the group. It also listed the names of his wife and Wieden+Kennedy Portland group planning director Britton Taylor, SG’s only other publicly confirmed member. Sleeping Giants later issued statements on Twitter and Facebook confirming Rivitz’s status. 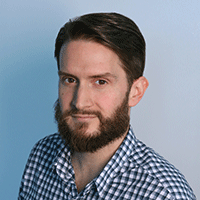 Rivitz spent more than a decade in the agency world before going freelance along with art director Tyler Magnusson. The two have collectively worked on projects for Wieden+Kennedy, GS&P and BBDO New York, among other prominent agencies. While Rivitz deleted the duo’s homepage as well as his personal social media accounts, Sleeping Giants has continued to post since the story went live. As in the past, its tweets have both called out brands advertising on Breitbart and engaged with detractors. In at least one instance, the account steered critics away from agencies and brands that had previously worked with the two creatives. 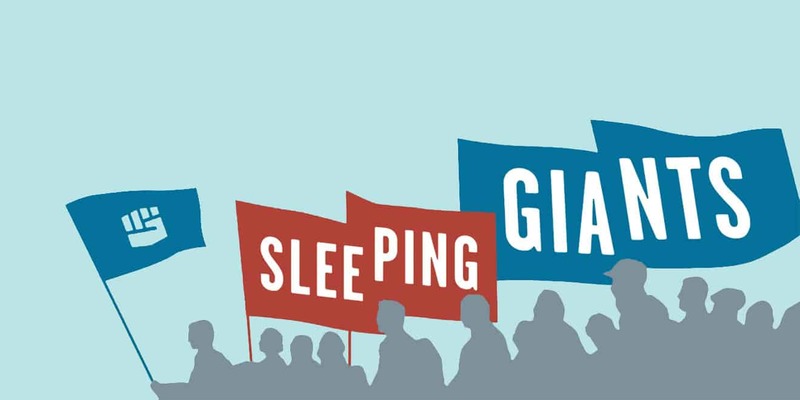 Since its launch, Sleeping Giants has also spawned a collection of affiliated Twitter accounts based in other countries. The primary account did not respond to a request for comment today. A Wieden+Kennedy spokesperson declined to comment.